Coachella 2012: Gotye proved to have ample talent beyond being somebody someone used to know, The Head and the Heart played a goose bump eliciting old song I hadn’t heard yet amongst my usual favorites, Madeon kept my feet off the ground for an entire set, and I learned that the rumors are true–Florence is a every bit a goddess on stage. 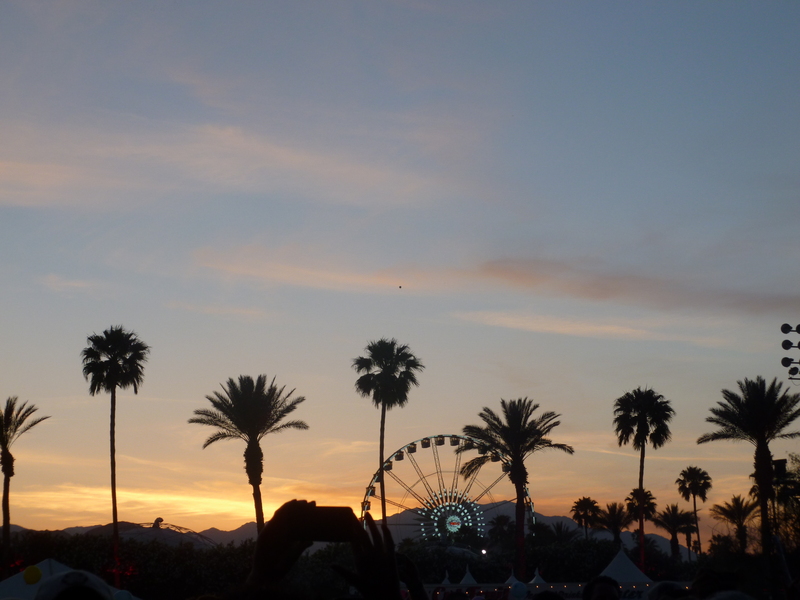 The weather was nothing like previous years and a bit like Goldilocks and the three bears: Friday was brrrr-chella, Saturday was mild-chella and Sunday was just right in the low 80’s. I would take this trifecta over the 106 forecast for next weekend any day, but I did find myself questioning if I had really left SF a few times. Now it’s a week of hibernation to rest up for STS9 on Saturday at the Fox. We don’t miss a beat. We’re back from the desert and now fully engaged into city life once again. This year my experience at Coachella was way different than years past. For one, I saw a ton more indie music than before, which is in part due to the non-eclectic nature of this year’s untz portion of the lineup (in my humble opinion, of course). I tend to stay away from some of what I would consider “standard anthem house” acts since I’ve caught enough of that over the years, and to be fair, I missed acts like Modeselektor, Flying Lotus, Beats Antique and Sbtrkt to catch some of Tory’s shows. I did have the pleasure of catching a 17 year old Madeon absolutely crush the Sahara Tent with his upbeat dance floor heaters. Justice did a great job although their performance was delayed by technical difficulties, and M83 blew me away with their epic and soaring instrumental parts that at times had me reminiscing of a Disco Biscuits jam. Martin Solvieg had his moments until he dropped the standard new age American “Dubstep” bass farts and of course Girl Talk was standard fare. With all said and done, I didn’t have one single moment where I didn’t enjoy myself.